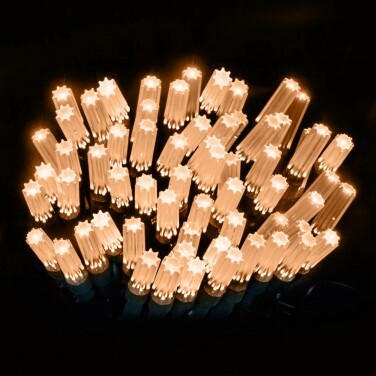 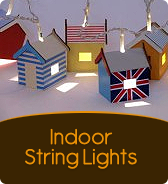 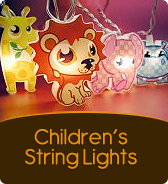 Create enchanting lighting displays of warm white LEDs with beautiful Star Cap string lights. 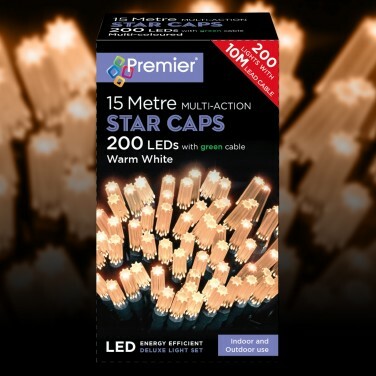 More festive than standard LED string lights, Star Caps have unique star shaped LED heads adding extra sparkle to your displays making them perfect for Christmas! 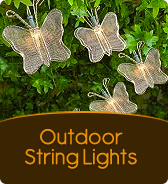 With 15m of illumination, there's plenty of light to decorate trees, bushes, trellises and more, and with eight functions including static, fade and flash, you have complete control over your light effects. 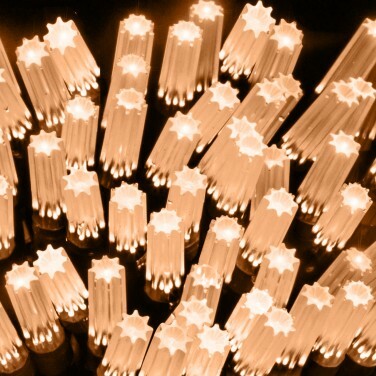 Suitable for use indoors or outdoors (with a protected socket), Star Caps have a memory function too so that they switch back on to their previously set function after being off.